Wondering how to get started? Look no further. We’ve got the strength training plan for you! If you didn’t grow up lifting weights, it can seem a bit of a daunting task. You enter the weight room at your favorite gym and see the bros, the bodybuilders, and the experts. But guess what? It doesn’t matter if it’s your first day at the gym, or if you’ve logged your one millionth repetition. 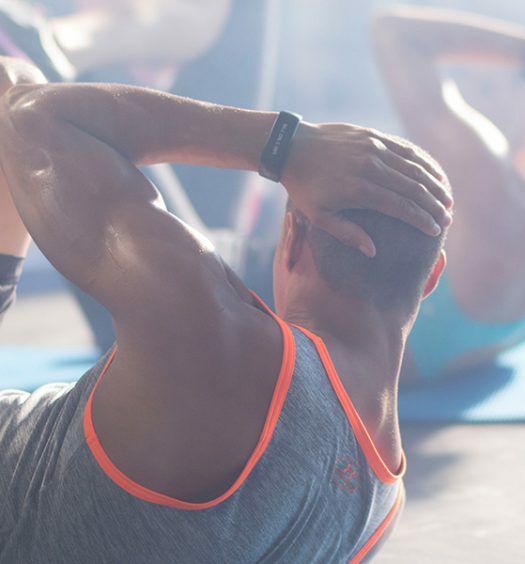 We’re all there for the same purpose—to improve our fitness. It’s no longer about intimidation. It’s about getting a good workout in. And that’s what we’re going to do. This series provides basic, entry level strength training workouts that are appropriate for both a first-timer and seasoned veteran. They’ll be broken down by basic muscle groups, so be sure to complete the whole series in order to maintain a balanced body. All of the workouts are built almost exclusively in superset form. Supersets are a structure of strength training where you complete one exercise immediately after finishing the one before without taking recovery time. Supersets are far more time efficient than traditional sets in strength training. Alright, well let’s get to it! 30 seconds each: bird dog, skydivers, reverse snow angels, fluttering skydivers, air squats, arm swings, and arm circles. Hopefully you enjoyed the workout and those biceps are burning! For true strength training workouts to be effective, it’s important that you select the proper weight. Aim for a weight that makes the last 2–4 reps a struggle. If the weight is too light, you won’t get the workout you need, and if the weight is too heavy, you can injure yourself. Don’t worry, you’ll have it down in no time! Try our other workouts here. And keep an eye out for the upcoming Strength Training 101 workouts. *Hinge at your hips, knees slightly bent, and pull with your palms facing each other. Elbows should slide right by the sides of your body. †Hinge at your hips, knees slightly bent, and pull with your palms facing your body. Elbows should stay high and wide. Where can I see how to perform the weight exercises, i.e. biceps workout?